May Arts is having a design team call and I'm so excited to be showcasing my projects. 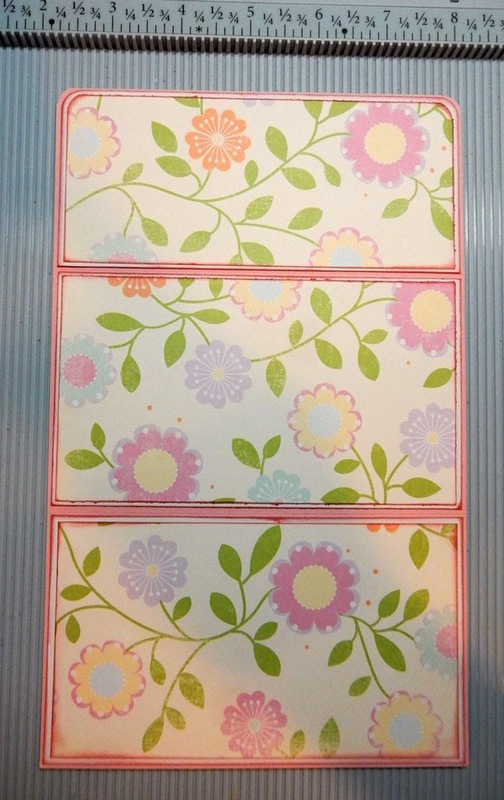 I used the Flowers Galore Rollagraph Wheel from Clearsnap to create the pattern on white cardstock. 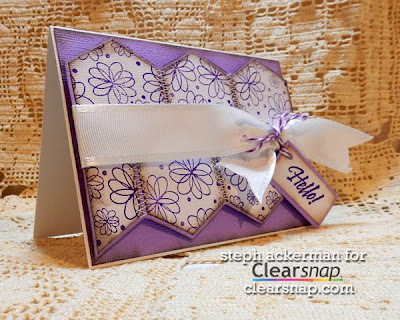 Next, I used the Sizzix Bigz Hexagon die to die cut the cardstock. After inking each piece, I placed each hexagon on purple cardstock, then stitched them together. 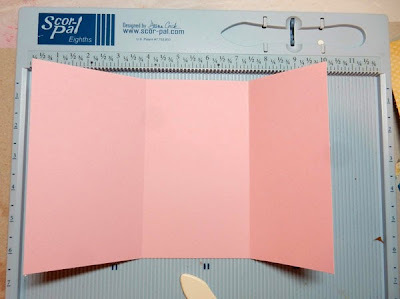 Then I cut the panel to fit the card. MayArts ribbon was wrapped around the panel and I adhered the panel to the card with foam adhesives. 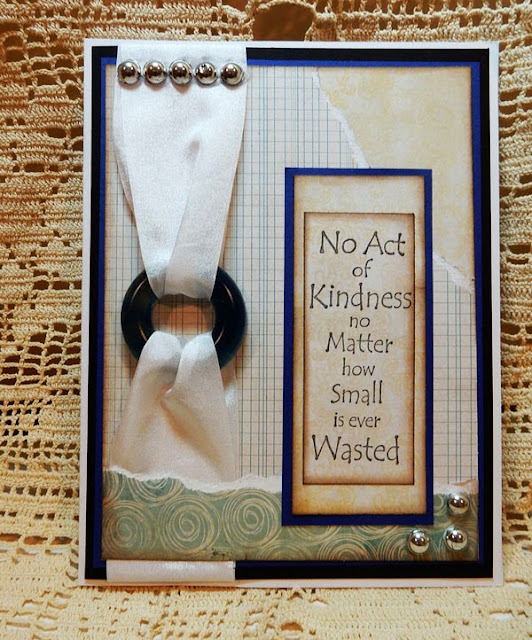 A simple sentiment was tied to the ribbon. 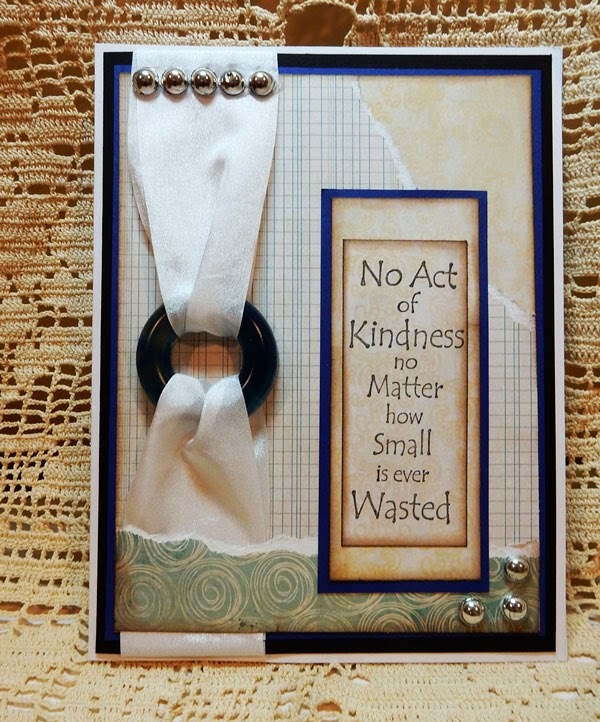 An envelope card created from one sheet of 12" x 12" cardstock and decorated with May Arts ribbon. 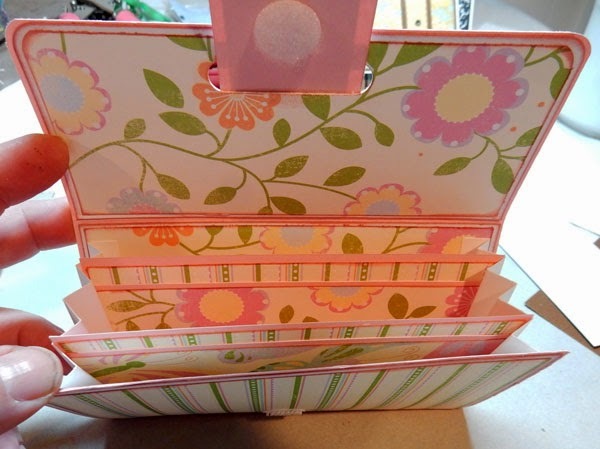 A card can be added inside under the tied panel. A separate card can be inserted in the back panel. 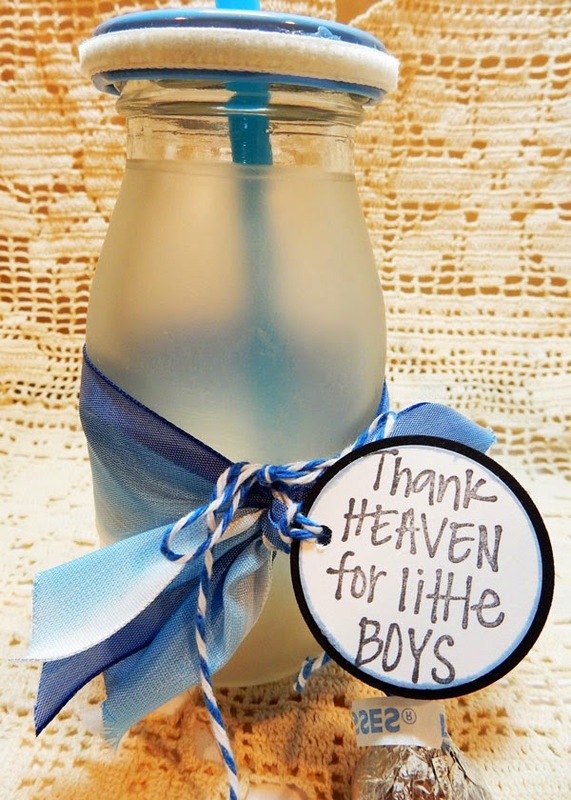 I've frosted glass bottles and embellished them with ribbons and twine to create fun party favors. 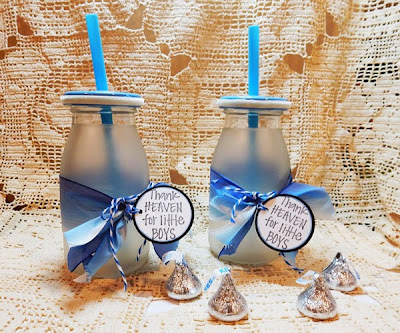 Fill with candy and present to your guests. 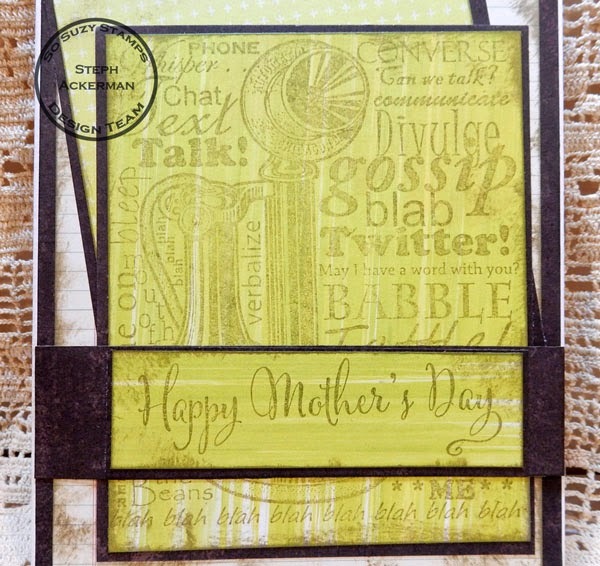 Today I'm sending you a note with some fun stamps from So Suzy stamps. 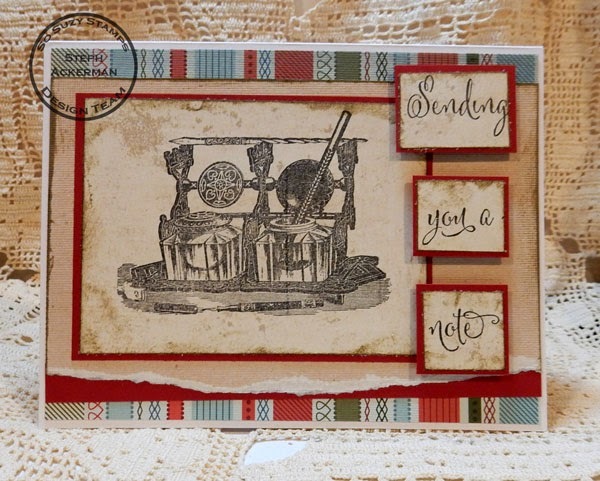 This Ink Well stamp is very detailed and reminds me of days gone by. I've paired this image with the sentiment - Sending you a note. Hi everyone. 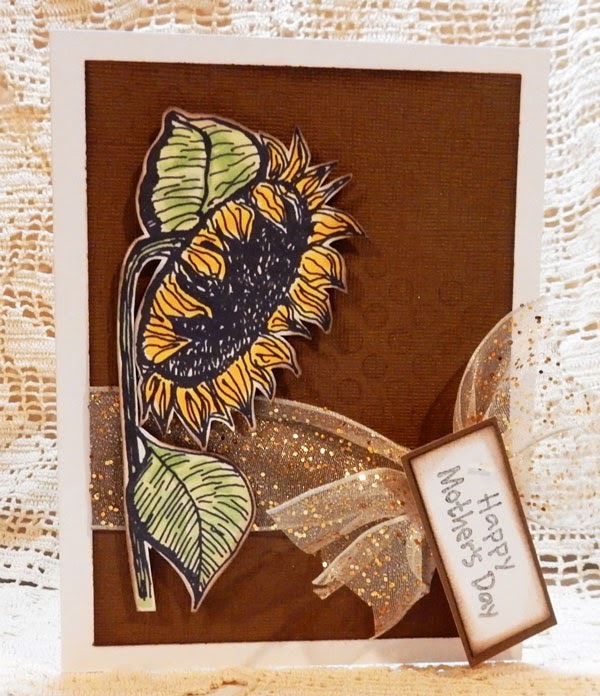 I love incorporating different elements in my card making. 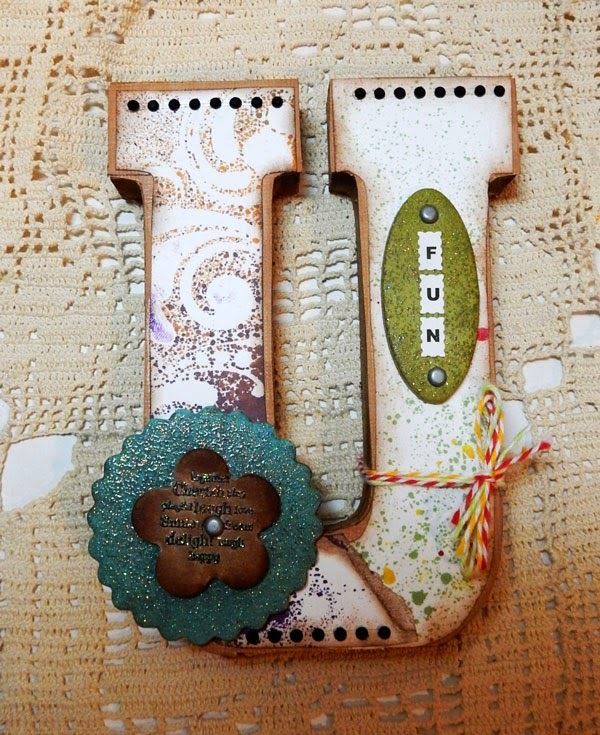 And I've been having a lot of fun creating those elements using assorted products from Environmental Technology, Inc.
Environmental Technology, Inc. has a vast array of products including clays, resins and dyes. 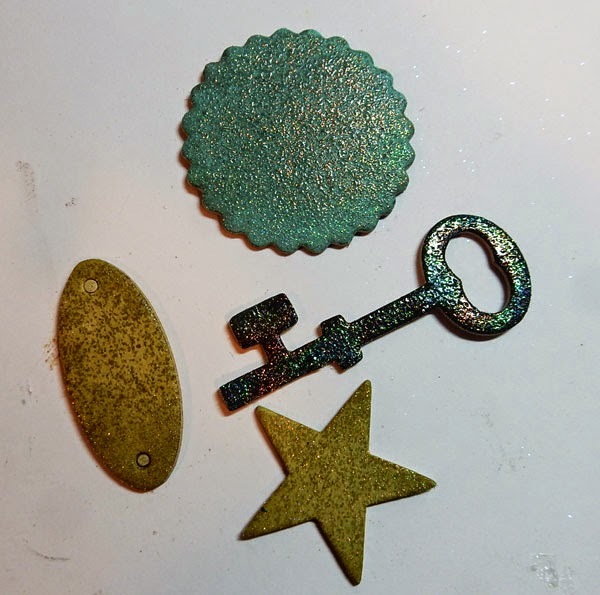 I recently created a number of resin pieces using Envirotex Jewelry Resin, and a Resin Jewelry Mold. Following the manufacturer's directions, I poured resin into several of the molds and added color with Blue Transparent Dye. 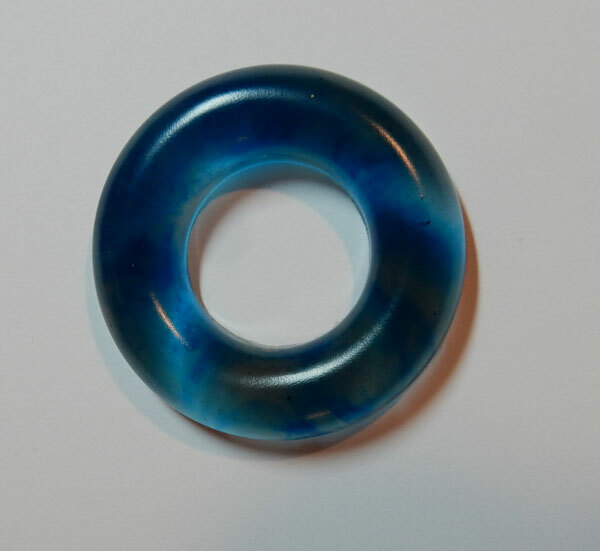 After curing, I easily popped this circular buckle from the mold. 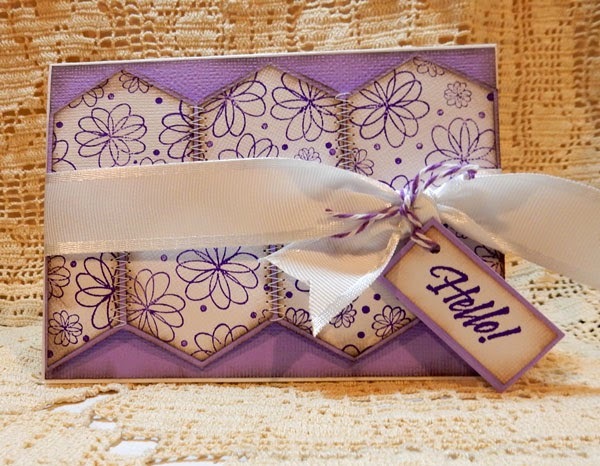 Using assorted papers, I created my card. 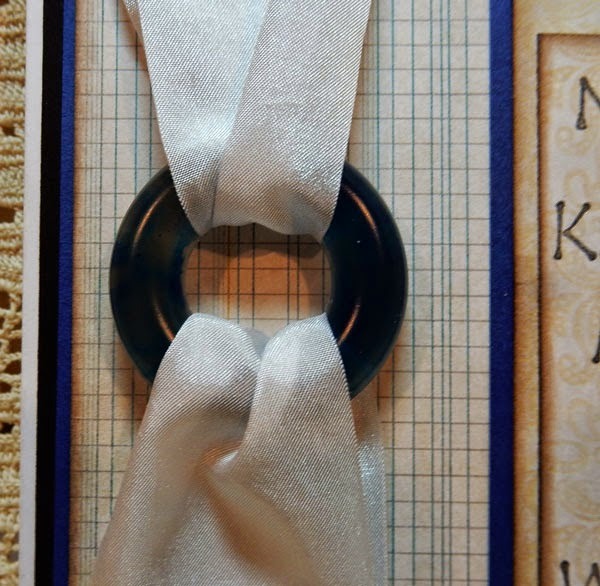 Instead of tying the ribbon around the card, I used the resin circular buckle as a decorative element to hold my ribbon in place. 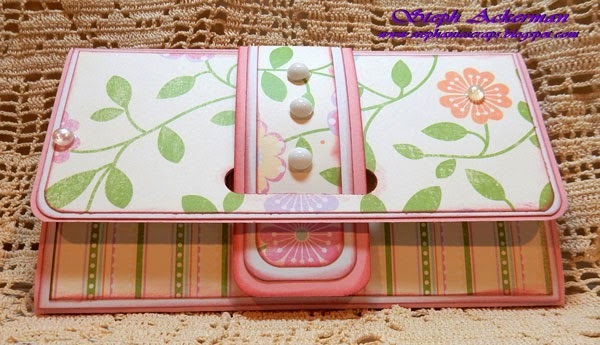 Since the buckle is resin, it's very light and adds no weight to the card. 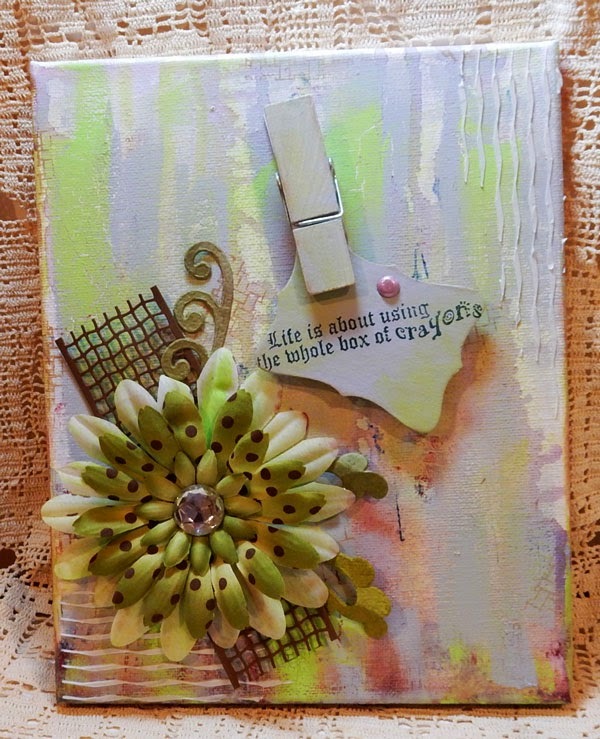 The sentiment was placed adjacent to the buckle on several layers of paper and Robin's Nest dew drops were placed in the corners. 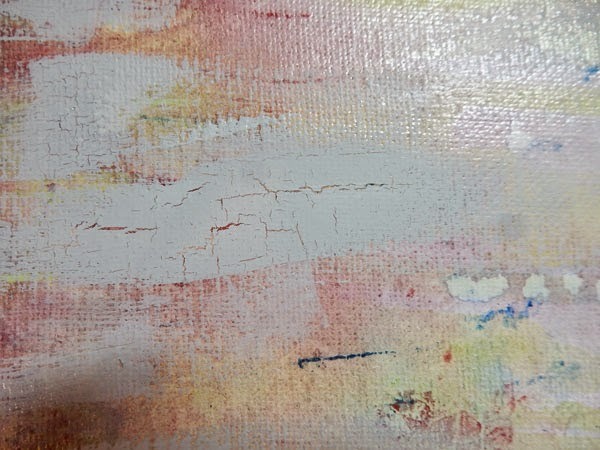 Earth Safe Finishes has some wonderful products and today I want to show you just how easy it is to add color to canvas images. 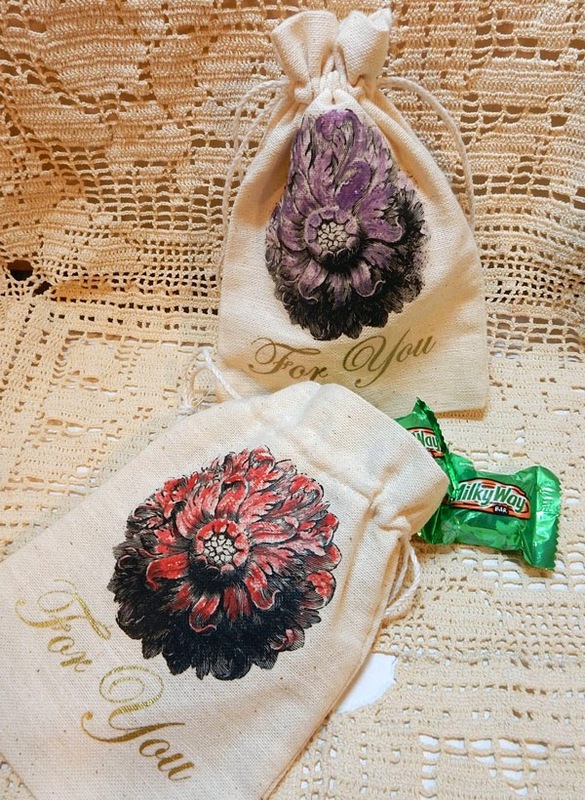 These canvas bags were already imprinted with the floral images, but I felt they need some color. 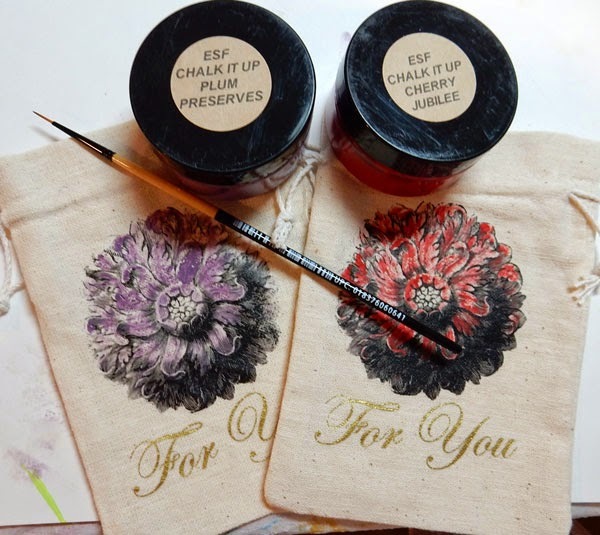 I selected Earth Safe Finishes Chalk It Up products in Plum Preserves and Cherry Jubilee. 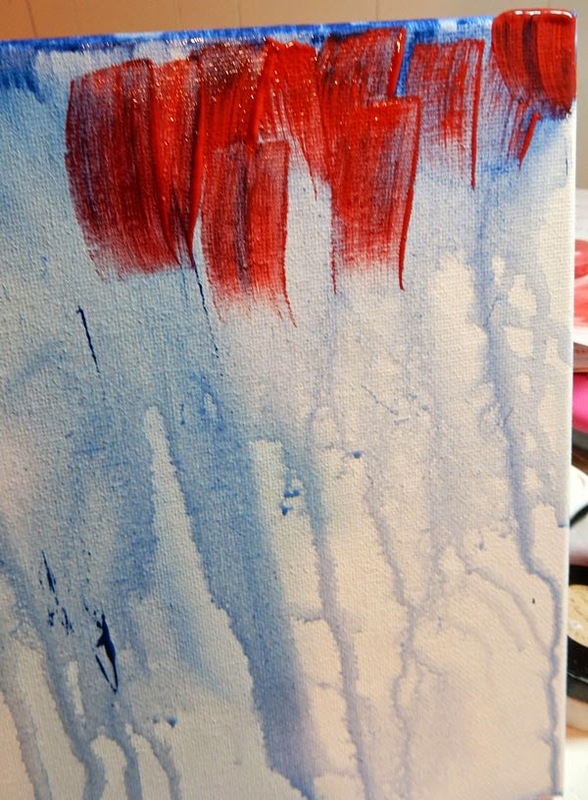 Using a paint brush, I added the colors to the flowers. I think these canvas bags will make great treat bags, especially as we come to the end of the school year and we look for sweet gifts for those who help our children daily. 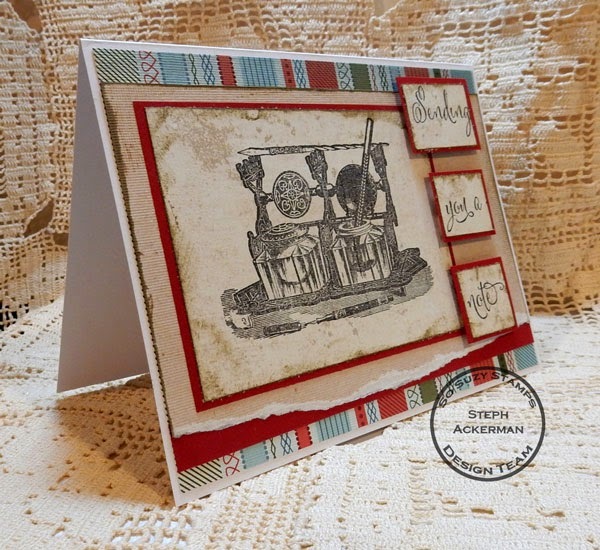 Hi everyone it's time for more cards using stamps from So Suzy Stamps. 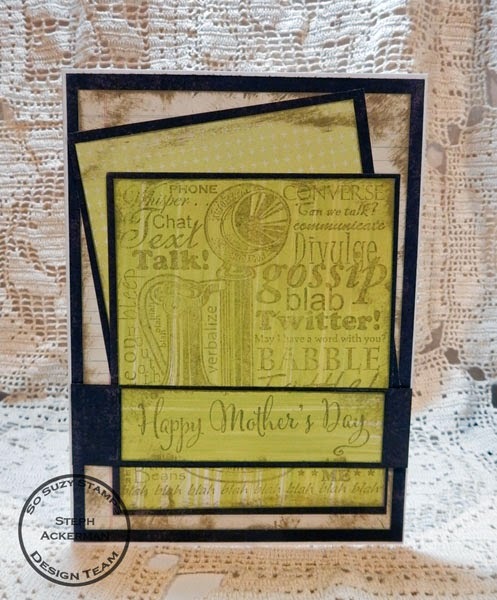 I've mixed and matching background papers and stamped Chatter on a green panel. 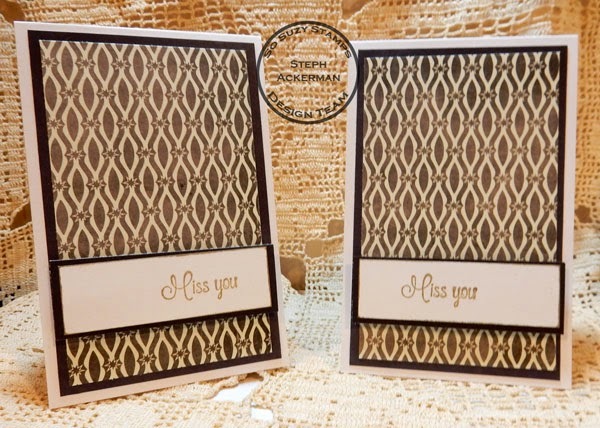 I also created 3" x 4" cards for simple Miss You cards. 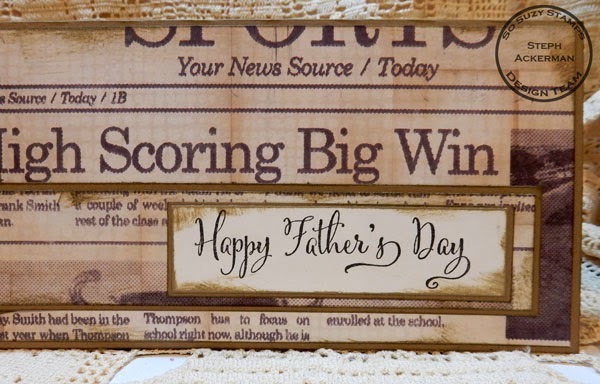 The small sentiment worked out well on this sized card. 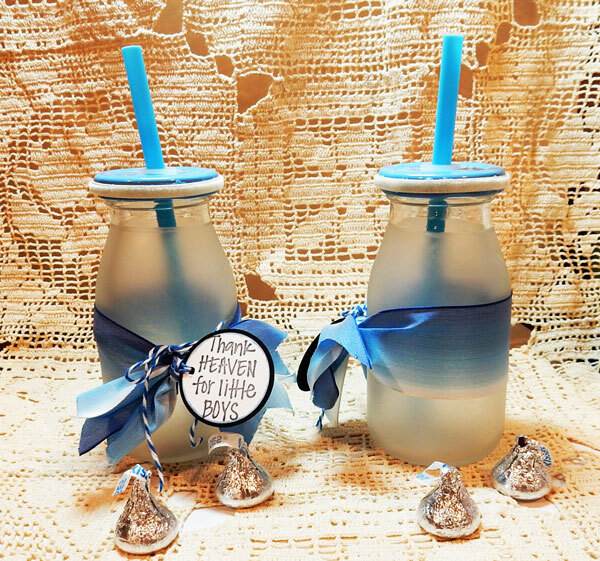 Hi everyone, I've created some new party favors today using etchall dip 'n etch and Ribbons Unlimited Inc. ribbons. These glass jars were perfect for baby shower party favors. 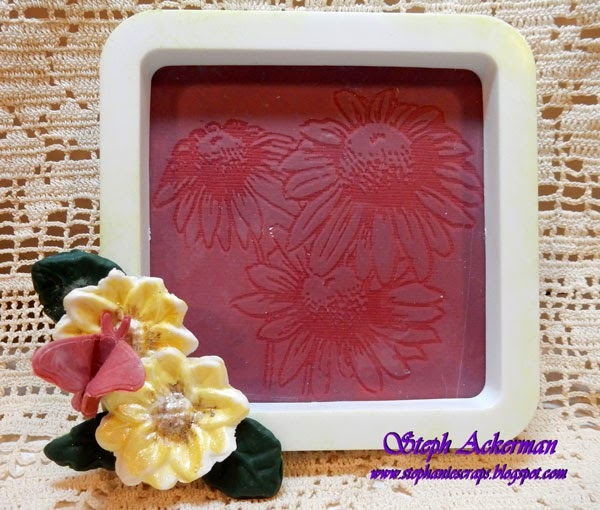 I placed the jars in etchall dip 'n etch for 15 minutes, then rinsed them off. 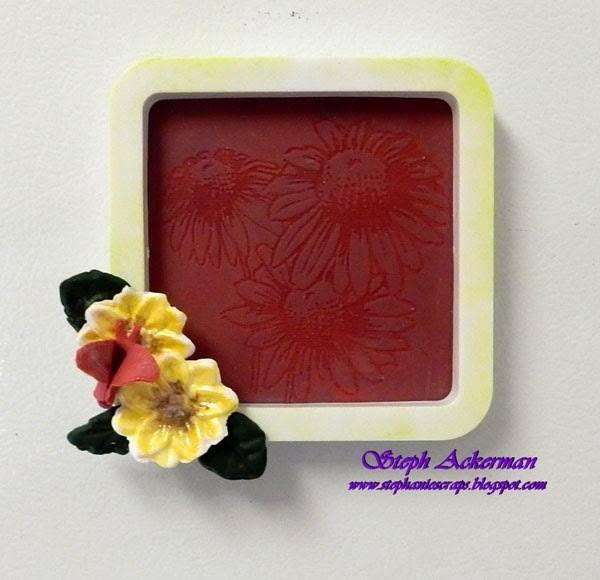 I love the frosted appearance you get from dip 'n etch! I tied some Sky Blue Ombre Ribbon around the jars and tied the labels to the ribbon with twine. 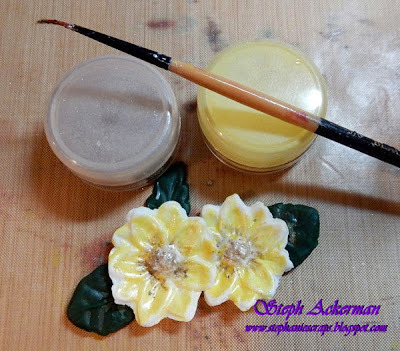 Around the lid, I used Helmar's Fabric Glue to adhere Cream Nylvalour Velvet Ribbon. 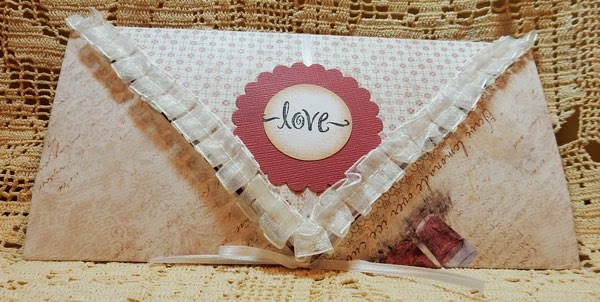 I tied a stamped sentiment to the ribbon with some twine. These party favors were so much fun to create and would be perfect for a baby shower don't you thnk? Hi everyone, my first post is up on the Earth Safe Finishes blog. 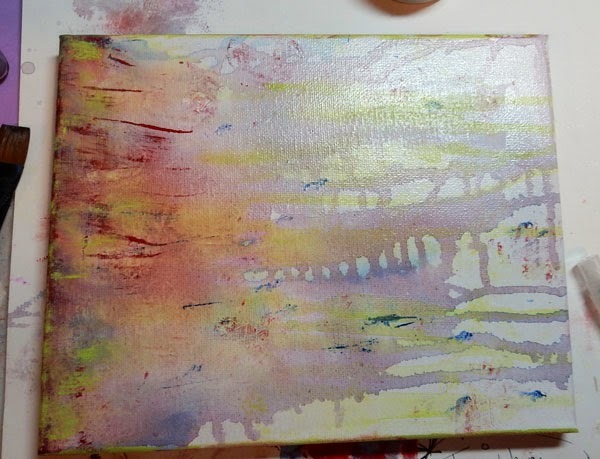 Please stop by the Earth Safe Finishes blog for the details on how I created this canvas. Hi everyone, I love to play with pretty papers and create unusual projects, how about you? 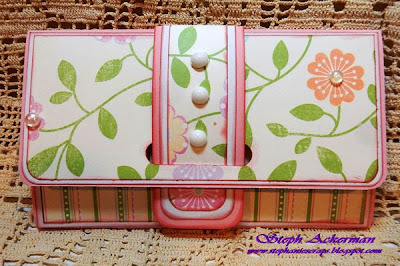 This wallet and coordinating card panels are not only fun to make, but quite easy. 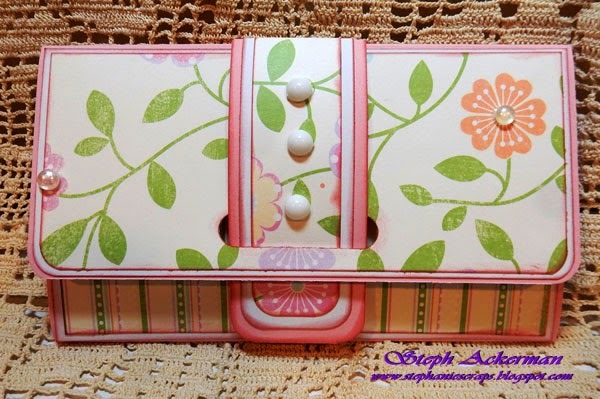 The wallets easily hold cards but think about adding a gift card or a piece of jewelry. Be sure to stop by the Scor-Pal blog for more inspiration. 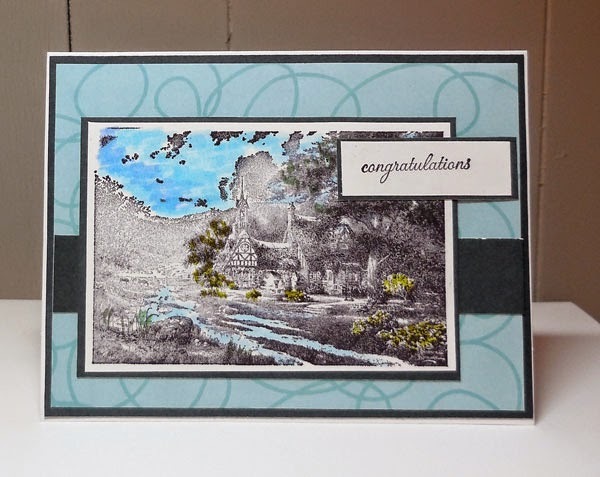 Hi everyone, have you see the awesome Thomas Kinkade stamps at Cornish Heritage Farms? I know I'll never be able to color them as effectively as he did, but one can always try!!! I used the Clocktower Cottage, opting to stamp it in black ink and just color in portions of the image. I love this effect. 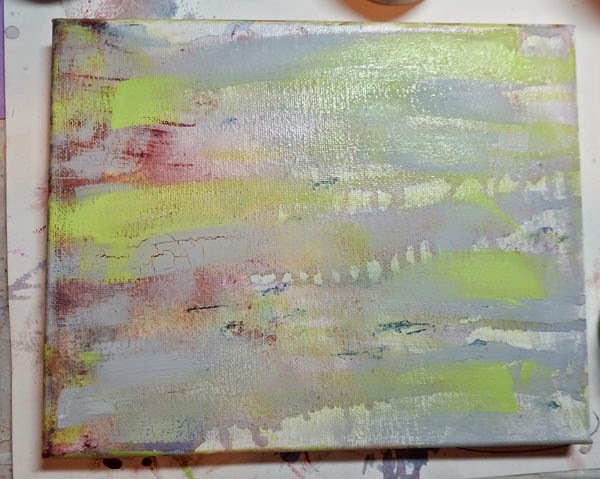 It lets you just focus on elements that you feel are important. Like the flowers surrounding the house and the stream flowing almost to the sky. 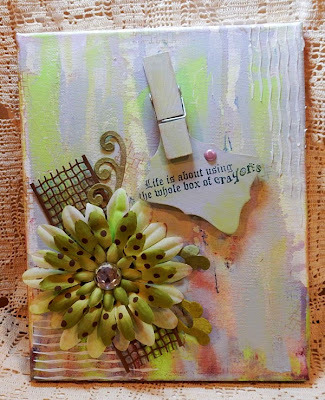 The sentiment is from Script Essential Expressions. 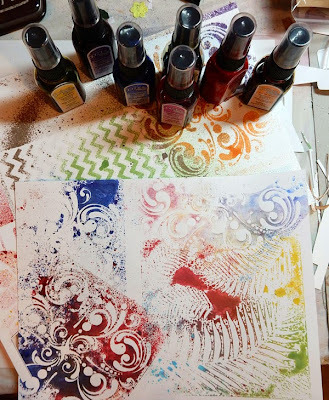 So next time you have a detailed stamp, why not just add a little color and see if you like the result! Clearsnap makes a number of Souvenir stamps. 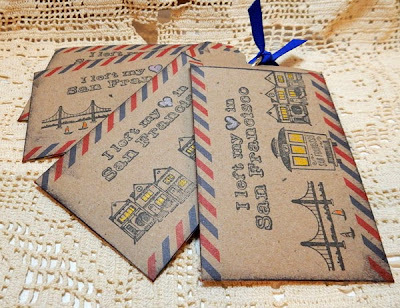 If you are planning on traveling this year, why not use the Souvenir stamps to decorate envelopes that will hold trinkets from your travels. I've used the London and San Francisco Souvenir stamps to decorate these envelopes. 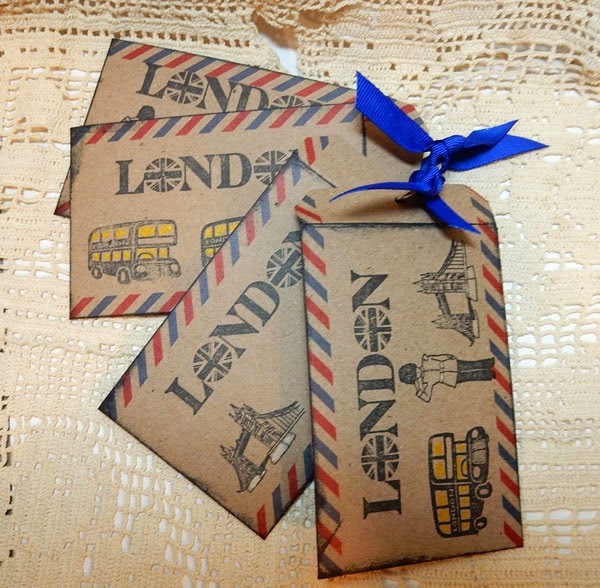 Each Souvenir stamp set comes with 4 stamps and 1 black dye ink pad. So you have everything you need in one container. Each envelope was stamped with an assortment of images from the appropriate set and then portions of each were colored with Smooch Accent Ink. To keep the envelopes together, I punched a hole and added a ring with ribbon. These envelopes are small enough to put in your purse, but large enough to hold the assorted items you pick up on your travels. Hi everyone, it's time to create your own backgrounds with an assortment of Artscreens from Clearsnap. Just take some white cardstock, assorted colors of Clearsnap Spritzers and assorted Artscreens and just have fun. You don't know what you'll create unless you play around. Check out the assorted prints I've made. 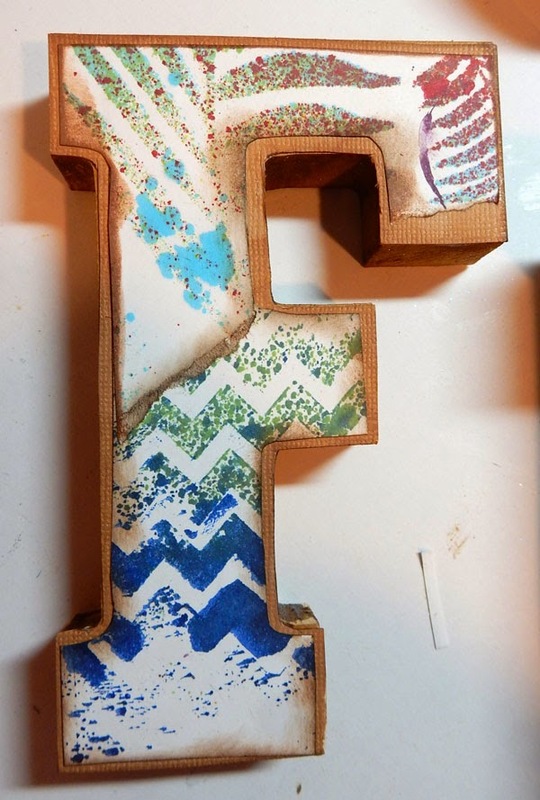 I had some chunky wood letters I wanted to decorate so I traced the letters onto brown cardstock and cut them out. 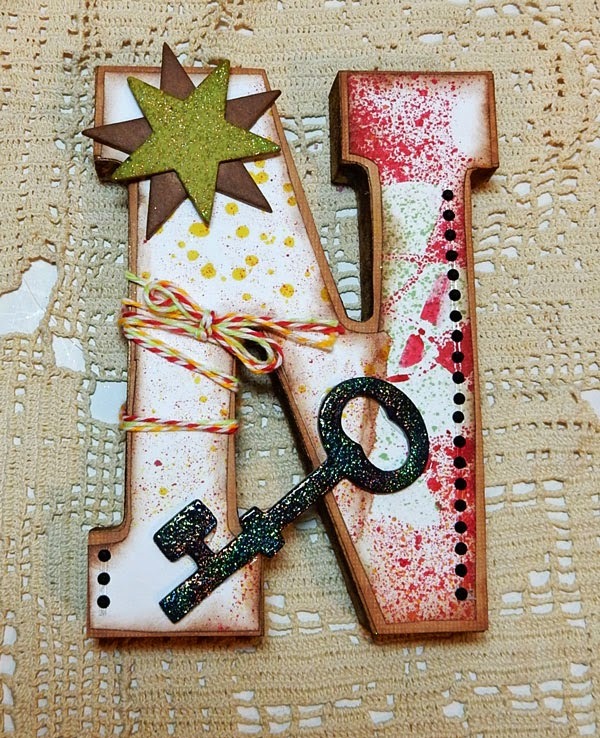 Using Helmar's Decoupage and Craft Paste, I adhered the cardstock to the letters. 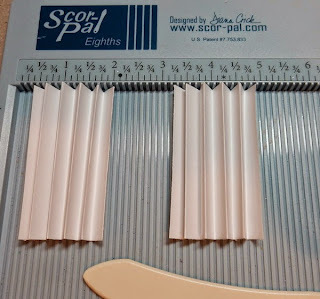 Once the spritzed cardstock dried (and it didn't take very long), I started cutting and tearing the cardstock to fit the letters. The edges were inked with Chestnut Roan Chalk Ink and then also adhered with Helmar's Decoupage and Craft Paste. 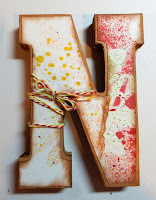 Assorted chipboard pieces were inked and embossed with embossing powders then placed on the letters. 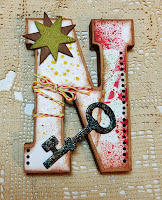 Wrap some twine, add some bling, a little stamping and you are done. 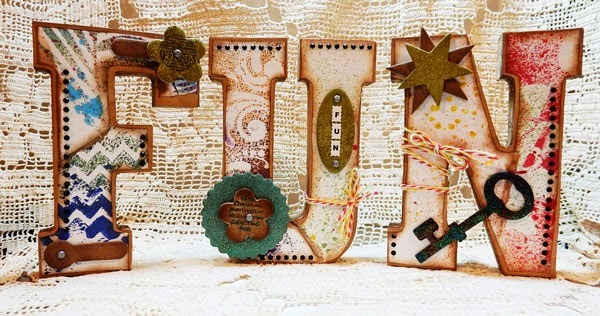 You don't need to add too much to the letters - the papers make their own statement, don't you think? Hi everyone, it's a beautiful day. The flowers are starting to appear as are the birds and bees. This 4" x 4" frame has been begging to be used. 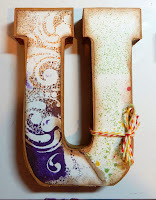 So I had a lot of fun with etchall, Makin's Clay and Earth Safe Finishes. 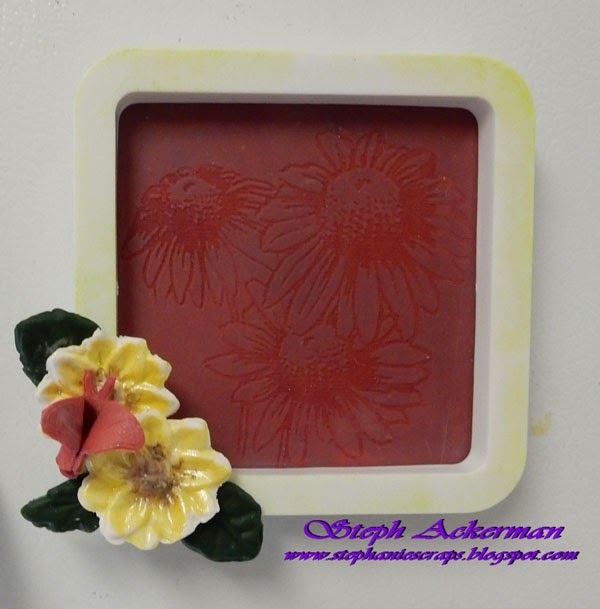 Using Clearsnap Embossing Ink and Clear Embossing Powder, I stamped a floral image onto glasss. 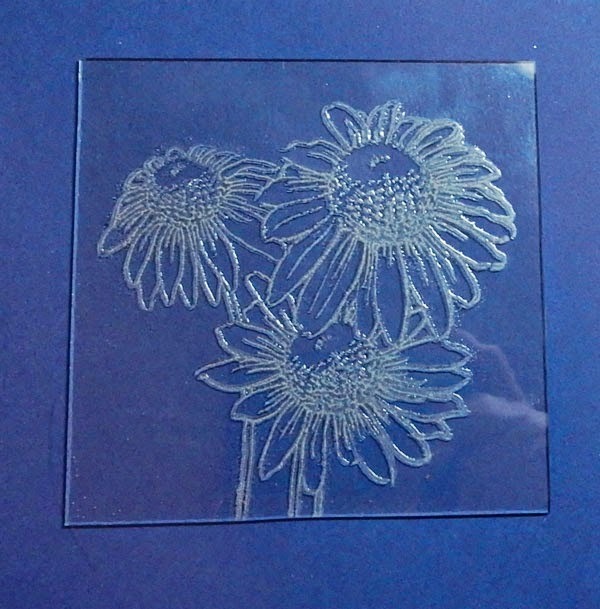 I stamped and embossed the flowers on the glass then used dip 'n etch to frost the glass. After waiting 15 minutes, I cleaned the glass, and poured the dip 'n etch back into the jar. 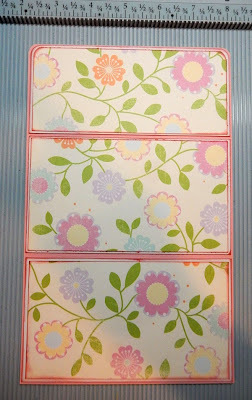 Removing the embossing powder, these flowers are the result. 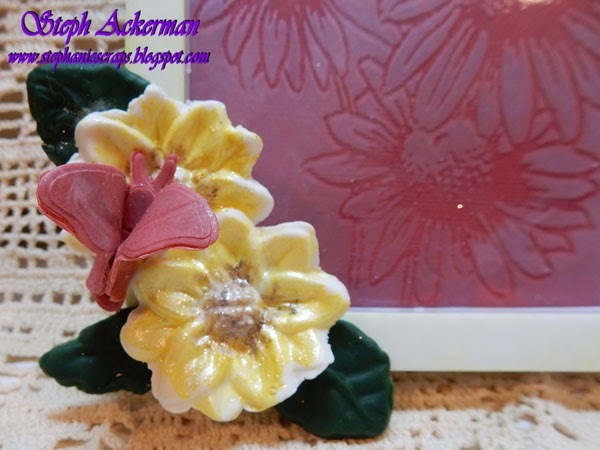 Using Makin's Clay and Push Molds, I created the flowers and leaves. 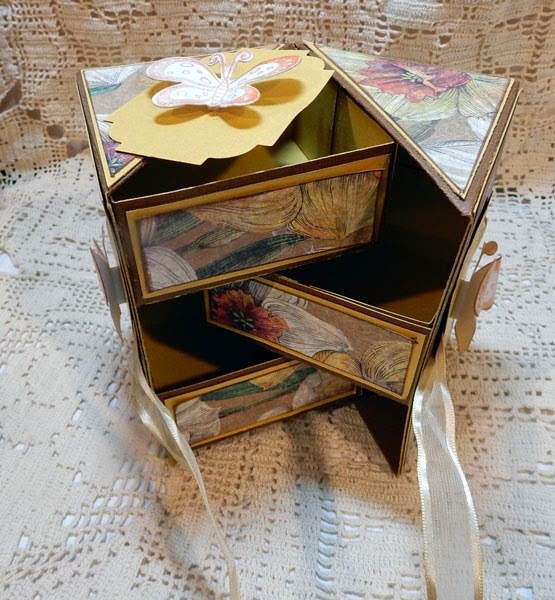 I also die cut the butterfly and nestled it amongst the flowers. To add some shimmer to the flowers, I used Earth Safe Finishes Mica Powders and painted them on the wet clay. 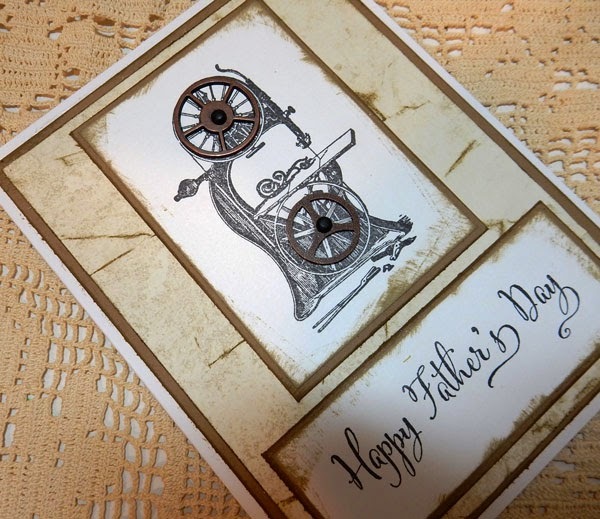 Do you need to create Father's Day Cards? Well, if you do, check out the stamps from SoSuzy Stamps. So many ideas. My first card is pretty simple. 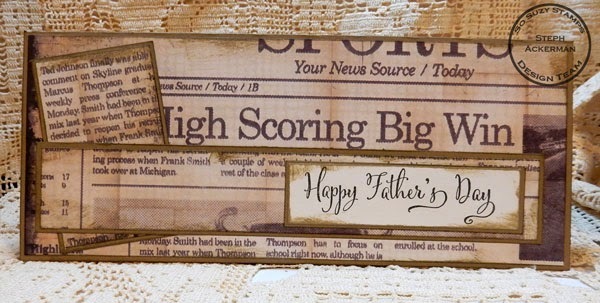 It uses the new Happy Father's Day sentiment in conjunction with some "older" pattern paper I've had hanging around. 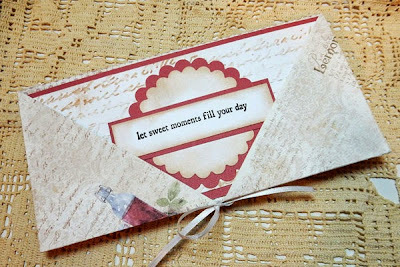 Some times you just need a nice sentiment to tie in with pattern papers. 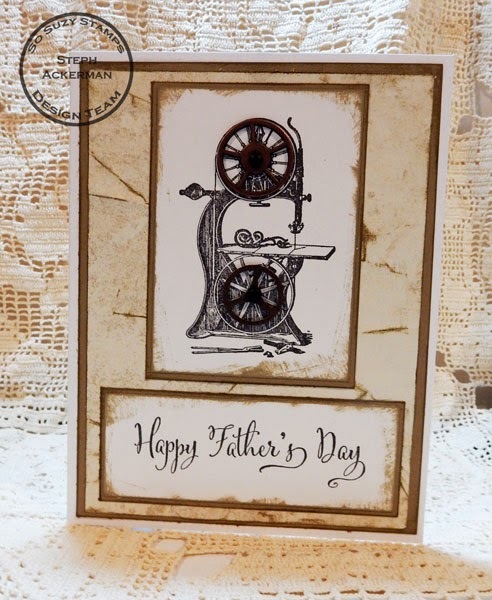 My next Father's Day card using the same sentiment in conjunction with the Band Saw Stamp. Since I wanted to focus on the tool, I crumbled the cardstock background and lightly inked it. 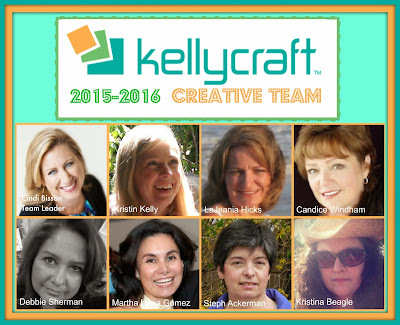 I am just so excited to be joining this wonderful team of designers at Kellycraft for the new year. 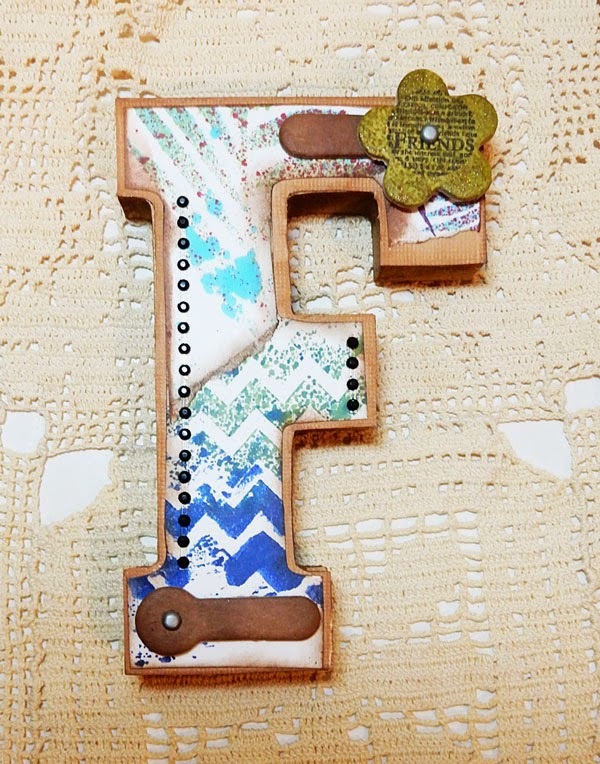 Stop by the blog and see the newest creations. 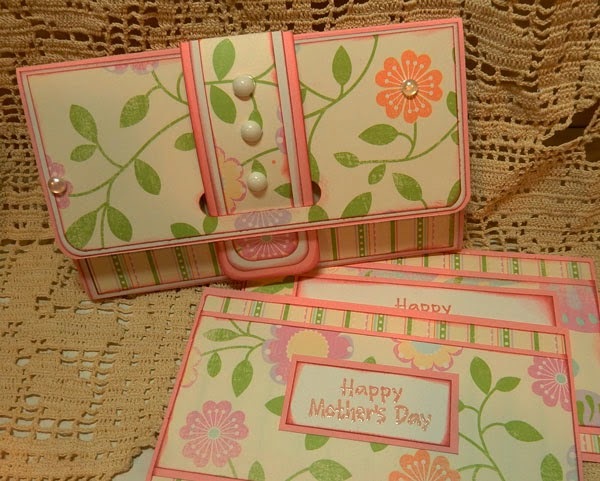 Hi everyone, this week's challenge at Cornish Heritage Farms is to create a Mother's Day card. 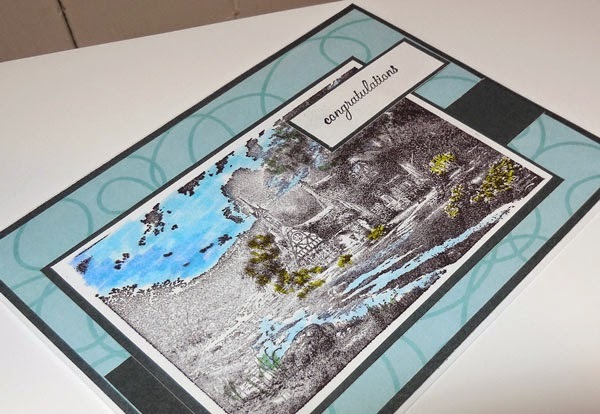 I used the Large Dots Backgrounder Stamp to create the light pattern on the cardstock. 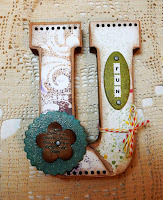 I wanted a subtle pattern and this stamp was perfect. 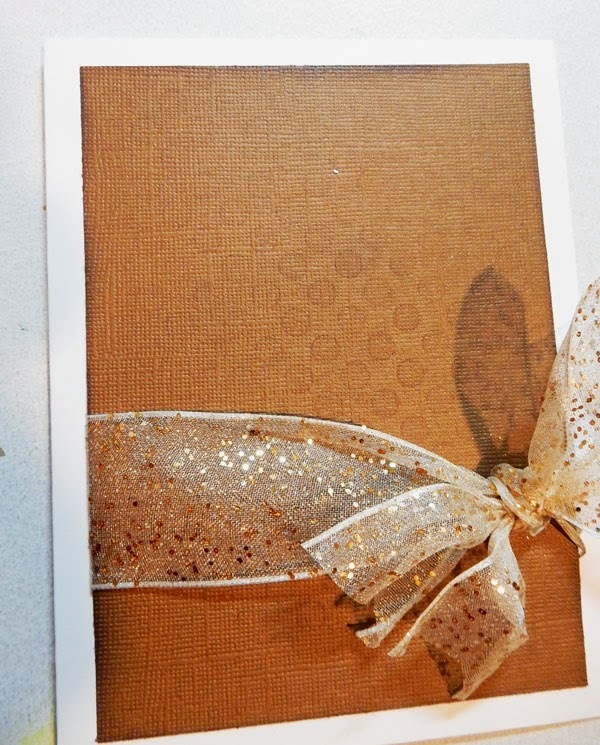 Beautiful sparkling ribbon was tied around the panel before adhering it to the card. 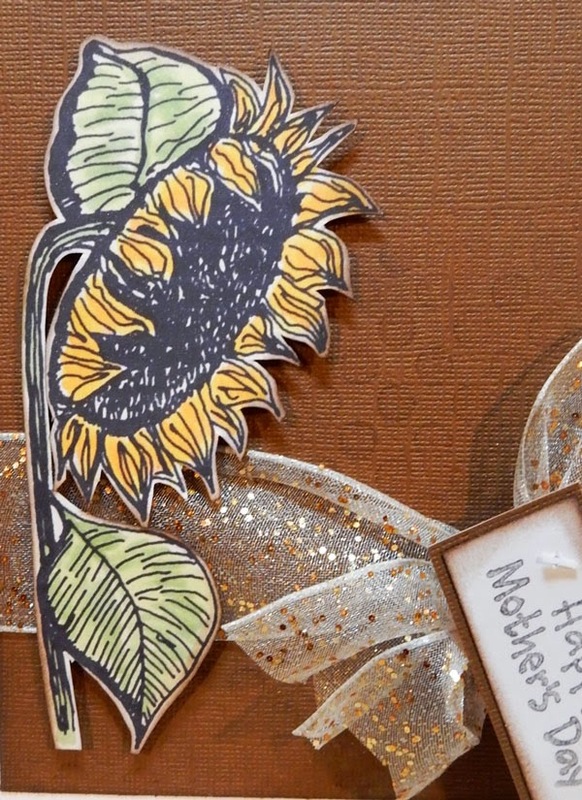 The Sunflower digital image was colored with Copic Markers and then fussy cut and added to the card with foam adhesives for dimension. 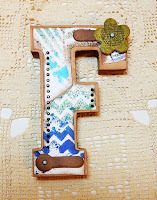 Be sure to stop by the team's blog to see what they've been creating.